On Earth Day, Life's Entropy had a sale and so I decided to pick up some stuff from their newest collection - Genes & Memes. If you haven't heard of Life's Entropy, they're an online indie makeup shop that is based on science. 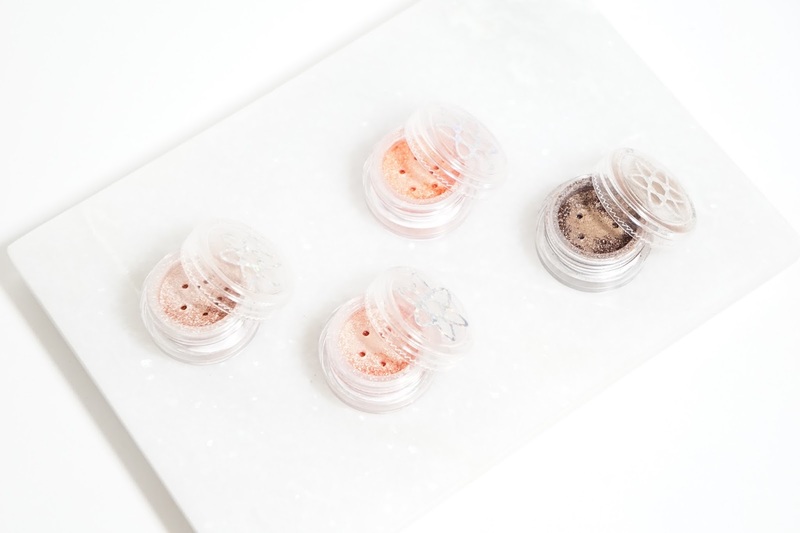 When they first opened in 2014, I wasn't particularly impressed with their loose eyeshadows but their other products wowed (and continue to wow) me. I'm going to say it right now in the intro - they've come a long way since the beginning and now I'm also very impressed with their loose eyeshadows! Full sized loose eyeshadows retail for $6 and samples are $1.50. All of their products are cruelty free and vegan as well. In this post, I'll be review Socially Awkward Plasmid, Coral Polyps, Immortal Jellyfish, and Inglorious Bonds. All of these shadows have the same semi-loose formula and Life's Entropy describes them as being able to "provide full coverage and an intense metallic finish with just one swipe." Oh boy, that description is 100% correct. 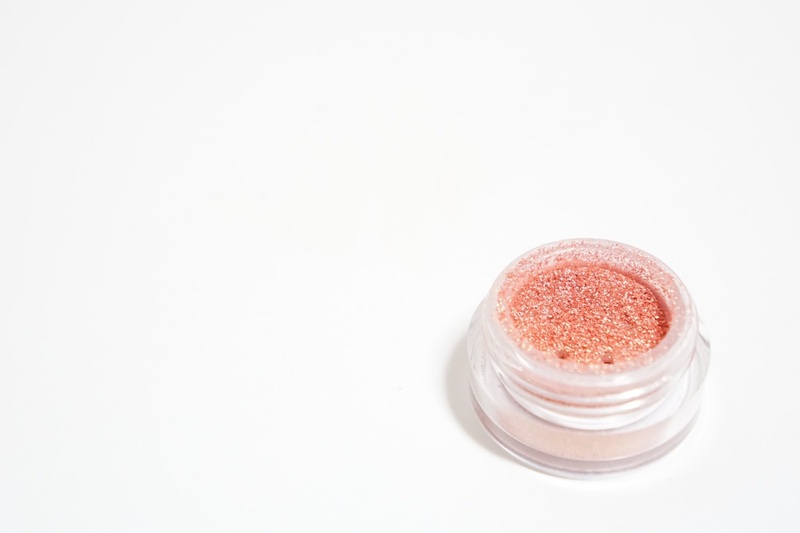 I tend to always need to use a primer and/or Darling Girl's Cosmetics Glitter Glue with loose pigments since they tend to not stick to my lids without it. With these semi-loose shadows, I just needed to press some product onto a flatter brush against the product's lid and apply it straight to my lids. You could use primer, but the pigmentation for each shadow was amazing and I saw very minimal fall out. Socially Awkward Plasmid is described as a "cool champagne pink with a slight silver sheen." Swatched on the arms, the pinky tones are more apparent but the silver tones come out more on the eyes. The silver also looks stronger depending on where the light hits your eye. I personally don't like wearing light shades like this all over my lids, but I'm already thinking about all the gorgeous halo eye looks that can be done using this shade. It will also look great on the inner corner for some brightness. Coral Polyps is described as a "pinky coral with a strong gold duochrome." As a rose gold lover, this was right up my alley when I want to have a more warm corally look to my eyes. It's the more wearable one compared to Immortal Jellyfish and is perfect for spring/summer. 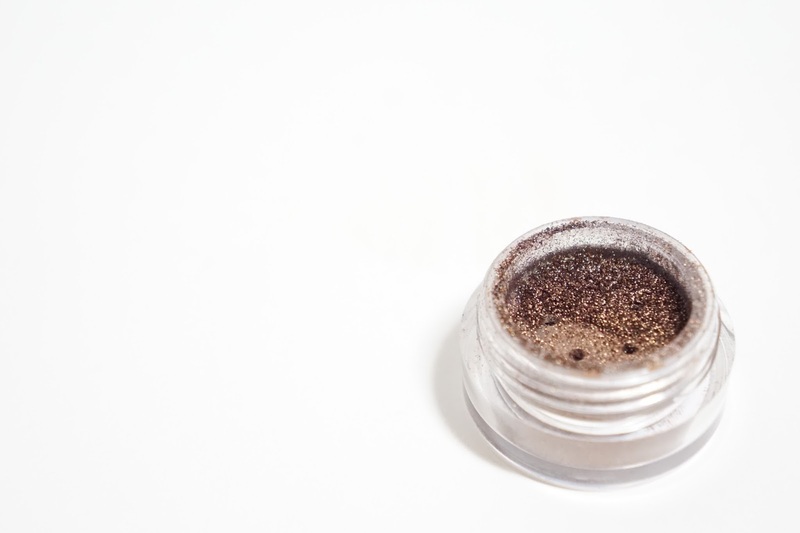 I've been wearing this all over the lids, but it'll also look beautiful with a dark matte warm brown in the outer corner of the eyes for more definition. Immortal Jellyfish is described as a "bright coral-orange with a strong gold duochrome." Coral Polyps and Immortal Jellyfish are pretty similar, but Immortal Jellyfish is more orange. Do you need both? I say yes! I'm kind of sad that my camera kind of washed out the brightness of some of these shades, but they are both brighter and look more different in real life. The gold shift is stronger in Immortal Jellyfish as well and you can see that when my eyes are open. 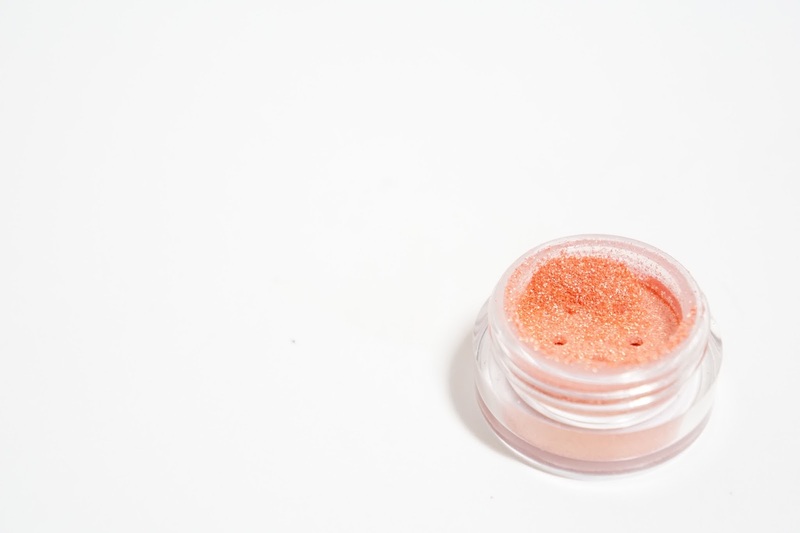 The strong coral-orange tones may be too much for let's say a work day or something, but I'm also digging this shade all over the lids for something more fun than a standard neutral eye. It's still wearable and it warm tones in it doesn't make my eyes look tired or irritation. Inglorious Bonds is described as a "metallic deep warm brown" and this is a beautiful shade to wear all over the lids for an easy and wearable eye popping look. The warmth to this shade also reminds me of Urban Decay's Eyeshadow in Smog. I would even say that this shade is more pigmented and easier to apply than Smog, but only just by a little bit. I've been wearing this shade a lot lately with Marc Jacob's Gel Highligher Eye Crayon in Brown(out) and they make a beautiful smokey eye look. 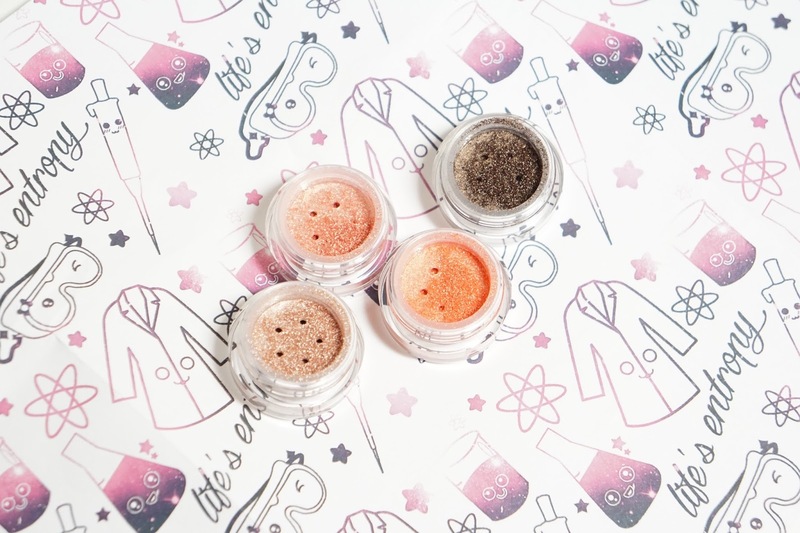 The packaging is pretty standard and similar to other indie eye shadows I've tried. 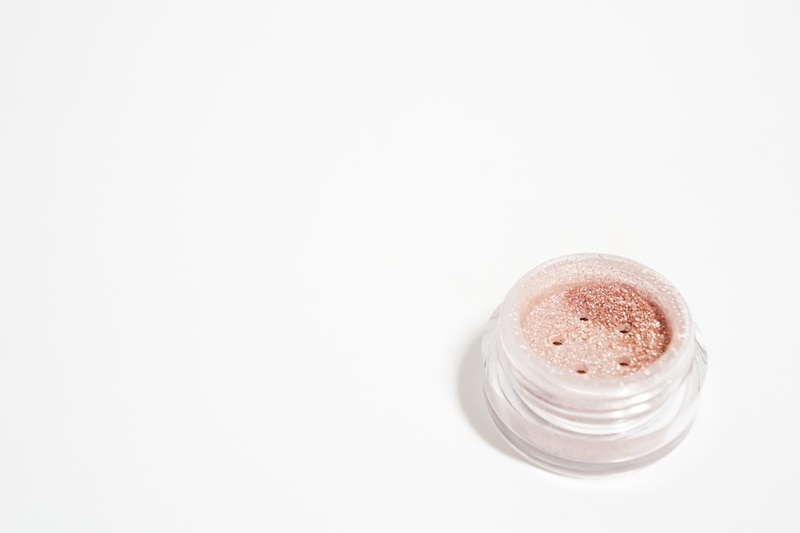 They're made out of lightweight plastic and have a sifter to help control the amount of product. They seem sturdy enough to travel with, but I would still be careful with them. Final thoughts: I can tell the difference in formula compared to the first release of loose eyeshadows and all of these shades must have some extra binders or something because they apply so well on the lids. 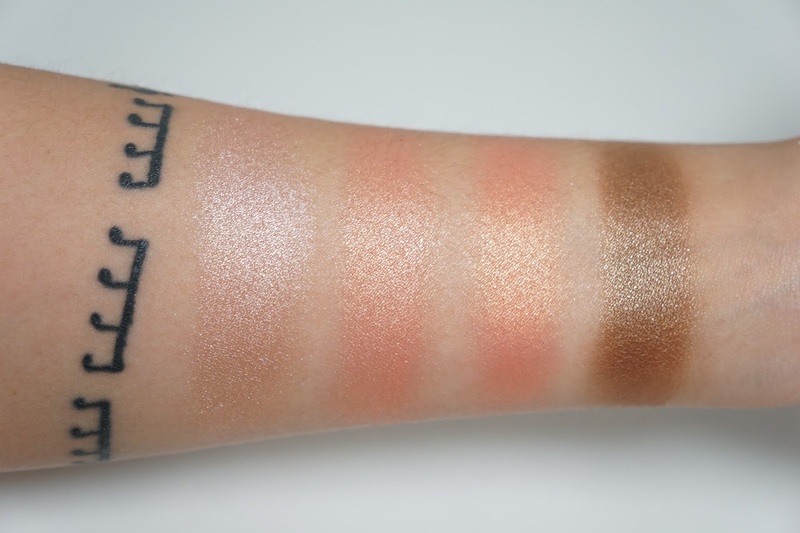 All of these swatches on the eyes and arm are done without primers or water to boost up the pigmentation. I found no creasing or fading throughout my 12 hour days and they're the easiest loose eye shadow product I've tried. I have nothing but praise for these shades and I'm starting to plan my next order as well. If you could only get one shade, I would say Immortal Jellyfish or Inglorious Bonds depending on your color preference (colorful vs. neutral). Have you tried Life's Entropy before? How do you feel about loose shadows vs. pressed shadows?